I'm speculating there was once a home on this property. where a section has been removed. 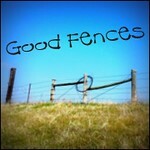 to view other fences from around the world. The stonework is lovely and a solid reminder of the hard work and efforts of those who lived there before. Hello! :) I like the wooden bar, and stonework,...it's a great look, and is a very decorative fence. wow, that's an awesome find! wish we had stone fences in these parts! Uma bela participação com magnificas fotografias. Um abraço e bom fim-de-semana. Thank you and may you have a good week end, too. That is a very lovely fence, I love stone!! I love that fence. What a wonderful use of stone. You must be able to see the Tyrannosaurus Rex skeleton Web Site among different over 50 huge skeletons, space station fashions, and mineral specimens will preserve all and sundry busy for the time you pay the museum a go to. The museum also welcomes its visitors with a big grasshopper clock at the doorway that the kids shall find excellent. Easter Sunday - Happy Easter, however you celebrate and even if you don't. Have a blessed week ahead.